An online tool has been released by the Cupertino, California based Apple Inc. that’s designed to fix the bug in iMessage. Because of this bug, any message that’s sent by this application simply disappears when an iPhone user has switched to a different mobile ecosystem such as Android. Users can make use of this tool for deregistering their phone numbers from the application even after they have stopped using their iPhones. In this way, users cannot send them messages via the iMessage app anymore. A large number of iPhone users, who switched to different mobile platforms, saw iMessage as a bone of contention. This is because when they switched to Windows Phone or Android from iOS, the bug did not decouple their phone numbers from the app’s system. Therefore, other iMessage users could still see them and think they were using the application. Hence, they continued to send messages via iMessage for PC. The only difference is that the messages weren’t being received. This is due to the fact that iMessage is a service that can only be used by devices of Apple Inc. Nonetheless, the messages that were sent weren’t being forwarded in the form of SMSs. Thus, a lot of iMessages simply disappeared into thin air without their recipients knowing about it. On the other hand, senders were under the impression that the messages they had sent via the app had been delivered and received. This caused a lot of problems of miscommunication amongst people so the American technology giant was even slapped with a lawsuit Adrienne Moore over the issue of this iMessage bug in May. According to the lawsuit, the company didn’t specify that switching to a device that wasn’t running on Apple’s iOS operating system would cause a problem or interference. The plaintiff claims that her contract with Verizon Wireless was interfered by this message blocking. Moore is seeking unspecified damages and class-action status through the lawsuit. Lucy Koh, US District Judge in San Jose, California said that the plaintiff deserved to show that an unfair competition law had been violated by the iPhone maker. 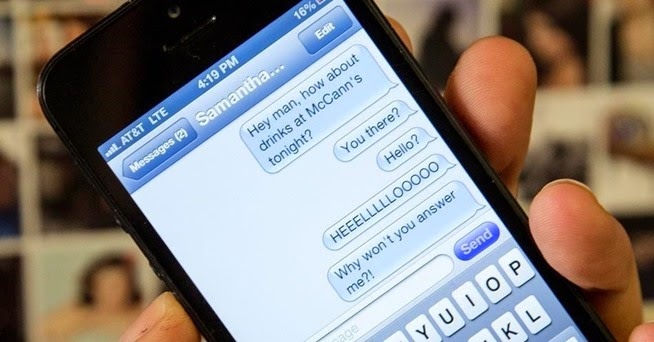 Other problems have also come to light that are concerned with iMessage. Another bug was acknowledged by Apple in October because of which failed iMessages weren’t being sent as text messages as is the norm when the service is down. However, people could send regular text messages quite easily. In the same month, another small controversy surfaced, when it was announced by a security firm that iMessages could be read by Apple if it wanted to do so. Nonetheless, it was clarified by the researchers during their demonstration of the vulnerability that the messages would only be read if it was ordered by the government or the company really wanted to do it. Trudy Miller, a spokeswoman of the iPhone maker condemned the claims and said that Apple didn’t use iMessage for reading messages of its users. She said that the researchers had only pointed out vulnerabilities that could be exploited for using iMessage for this purpose.